Twitter will inform nearly 700,000 people in the U.S. that they either followed a Kremlin-linked troll account, or retweeted or liked a tweet sent by one of the accounts, the social media company said Friday. The company last year identified thousands of Twitter accounts associated with the Internet Research Agency, a Russian government-linked troll army in St. Petersburg that worked to meddle in the 2016 U.S. presidential election and to promote chaos and division in American society more generally. "Consistent with our commitment to transparency, we are emailing notifications to 677,775 people in the United States who followed one of these accounts or retweeted or liked a Tweet from these accounts during the election period," Twitter said in a blog post announcing the move. Twitter initially said it had found 200 accounts linked to the group. Then it told Congress last fall that it had identified 2,752 accounts linked to the group. On Friday, Twitter said it had since identified an additional 1,062 accounts, bringing the total to 3,814. The accounts together sent more than 175,000 tweets, the company said.Twitter said it will hand over the details of the additional accounts to Congress. The company also said it had also found more than 50,000 Russian-linked automated accounts that tweeted about the presidential election. Networks of automated accounts are often run from the same computer and sometimes post the same link, talking point or hashtag en-masse in an attempt to make it trend on the platform.Twitter said it will hand over the details of the additional accounts to Congress. The company also said it had also found more than 50,000 Russian-linked automated accounts that tweeted about the presidential election. Networks of automated accounts are often run from the same computer and sometimes post the same link, talking point or hashtag en-masse in an attempt to make it trend on the platform. Among those getting emails will likely be some current and former members of the Trump administration, as well as a member of the Trump family. White House counsellor Kellyanne Conway retweeted one of the IRA-linked accounts, @TEN_GOP, which was designed to look like it was run by the Tennessee Republican Party, just days before the 2016 election. Donald Trump Jr. also followed the @TEN_GOP account, CNN found. And former National Security Adviser Gen. Michael Flynn, his son Michael Flynn Jr. and former deputy assistant to the president Sebastian Gorka all followed a separate IRA-linked account, a CNN analysis last year found. That account, which used the pseudonym "Jenna Abrams," developed a persona of a conservative American woman, and amassed a following of more than 70,000.A copy of the email sent to one Twitter user after the blog post was published Friday obtained by CNN showed that Twitter informed the user they had interacted with one of the IRA-linked accounts, but did not say which account it was. 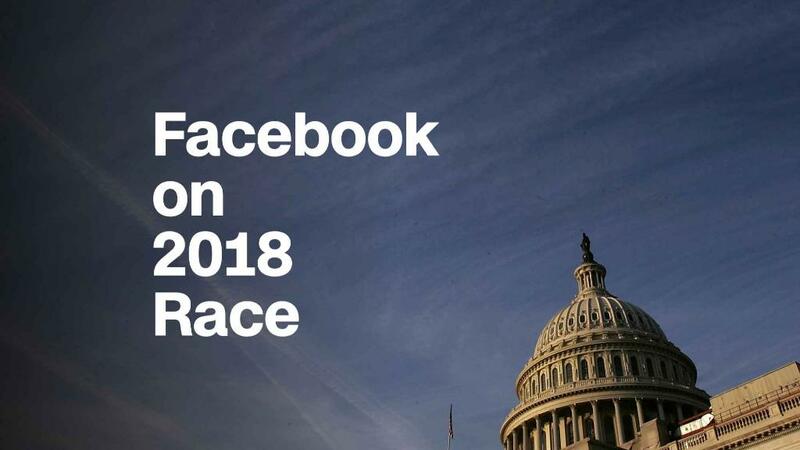 In December, Facebook launched a tool in its help section that allows users to see if they followed any Facebook or Instagram accounts run by the Internet Research Agency. Unlike Twitter, Facebook has not announced plans to inform users directly. Both companies appeared to time these announcements for moments when they would get less attention than they might otherwise. Facebook made its announcement the Friday before Christmas; Twitter published its blog post on a Friday when the news media was focused on a possible government shutdown. Twitter also said on Friday it was investing in technology to help "detect and mitigate the effect on users of fake, coordinated, and automated account activity." Its efforts on that front have included some missteps. The fake "Jenna Abrams" persona that was followed by the Flynns and Gorka has twice since re-emerged on the platform using the same name. On both occasions Twitter did not take action against the new accounts until CNN reported their existence.